Thousands of migrant workers from Indonesia will head to Hong Kong’s Victoria Park to cast their vote for the next Indonesian president this week. An estimated nine million Indonesians live and work abroad, a community that is larger than the population of 25 of Indonesia’s 34 provinces. The figure is also bigger than incumbent Joko Widodo’s margin of victory when he was first elected in 2014. “Both campaign teams will spend more logistics and campaign effort in countries such as Malaysia, Saudi Arabia, Netherlands and Singapore where a significant majority of the voters live,” said Ericssen Wen, an independent political analyst in Singapore. Despite that, securing expatriate Indonesians’ democratic rights is not easy because a large percentage are working without proper documentation or living in remote regions far from government facilities. “As many as seven million migrant workers are [in danger of] losing their political rights,” said Hariyanto, chairperson of the Indonesian Migrant Workers Union (Serikat Buruh Migran Indonesia). 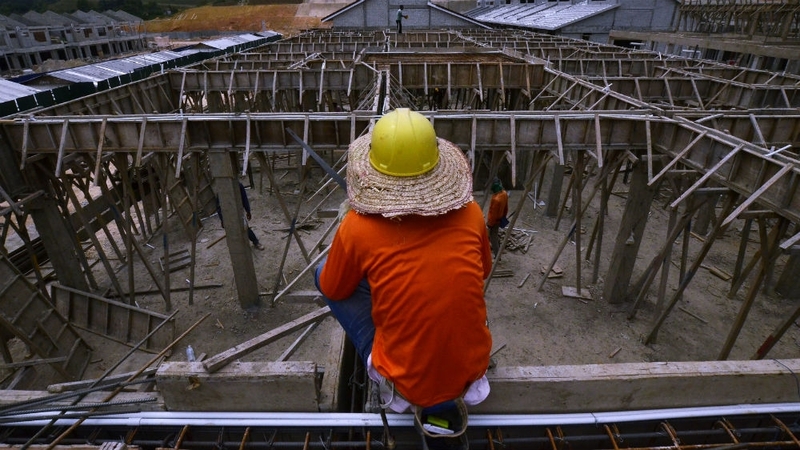 The steep turnover of workers – hundreds of thousands either leave or return to Indonesia each year – also makes it a challenge to ensure that all migrant workers are accounted for. “Domestic workers, who often work in an estate, find it difficult to travel and vote,” said Nasrikah with Serantau Malaysia, a non-profit that works with Indonesian migrant workers. “Nobody can guarantee their security, as the Malaysian government can carry out raids anywhere at any time,” added Nasrikah. Regardless, Widodo, his challenger Prabowo Subianto and several political parties are chasing migrant workers’ votes. Prabowo has been focusing his attention on Malaysia, with his party, Gerindra, opening an office in 2017 and his local team keen to highlight the former general’s friendly relationship with the country’s prime minister-in-waiting, Anwar Ibrahim. This time Widodo’s campaign team has been visiting construction sites, factory accommodation and other places where Indonesians congregate in Malaysia in order to raise awareness of a key achievement: reforms to the migrant worker law, which were passed in 2017. “The Indonesian government had two years to prepare the implementation of that law,” said Hidayah. Tursilawati’s episode was not unusual. According to Migrant Care, more than 74 Indonesians remain on death row abroad, including in Saudi Arabia. “We urge the Indonesian government to mobilise political and diplomatic resources to seek the release of hundreds of migrant workers who are threatened with capital punishment throughout the world,” said Hidayah. Figo Kurniawan moved to Malaysia in 2006 for that reason. He is undecided on who he will be voting for. For him, and millions of Indonesians – home and abroad – the key concern will be the economy and jobs. “As long as the Indonesian government does not provide employment for all its citizens with a decent salary, citizens will continue to become migrant workers,” said Figo.